With over 15 years’ experience in operational, people and project leadership, Megan has proven successful in defining and executing holistic change that enhances customer experience and streamlines processes to realise tangible business benefits and sustained cultural shifts. Megan leverages advanced skills in stakeholder engagement to excel in embedding transformation in resistant environments, aligning operations to strategic objectives and leaving a legacy of long-term performance and service improvement. Designed and delivered service delivery processes for the largest outsource in Australia’s corporate history between a major bank and a telecommunications company. Prior to joining Nous Megan was the academic registrar and director, student services at The University of Wollongong. Here she provided senior operational leadership to 100 staff and was responsible for university governance and policy, student recruitment, student systems, administration and service. 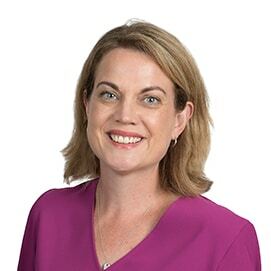 Megan has also held senior program management roles in Telstra. Megan holds a Master of Business Administration from the University of Wollongong and a Graduate Certificate in Management from Charles Sturt University. She is also a board director of the Wollongong Conservatorium of Music. Megan loves running, watching foreign films, and learning about self-improvement, health and wellbeing. She and her family love travelling, robotics and circus arts.